Let’s talk about saving energy. Specifically, how to choose solar lights for your home. There are lots of reasons why you might want to choose solar, and the energy savings is only one of them. In addition to that (which is, of course, a pretty good reason on its own), solar lighting for outdoors is easy to install and maintenance-free, according to Energy.gov. In fact, more and more U.S. homeowners are installing solar power landscape lighting for pathways, freestanding lampposts, security lights and wall-mounted sconces and lights. What are the best outdoor solar lights? There are different types of solar lighting for outdoors, so you’ll want to evaluate your needs to determine which is right for you. First, how do solar lighting systems work? During the sunny time of the day, solar cells collect sunlight and inverters convert it into electricity. That electricity is stored in a battery so that it can be used later (i.e. at night). At night, the battery supplies the electricity to the light fixtures until the amount of stored energy is gone (i.e. it is used up). This process repeats every day when sunlight is collected. Although solar lighting can work in most of the U.S., the climate where you live should be a consideration. The solar cells need to receive a certain amount of sunlight in order to work. When you purchase solar lighting systems, check the manufacturer’s recommendations for the number of sunlight hours that would make it function optimally in order to see if it would be appropriate for your environment. Solar lighting systems include a “nightly run time” listing, which indicates what would be the longest-running and brightest solar lights, based on your sunlight conditions. There are two main types of solar lighting for outdoors: self-contained units and solar cell panels. 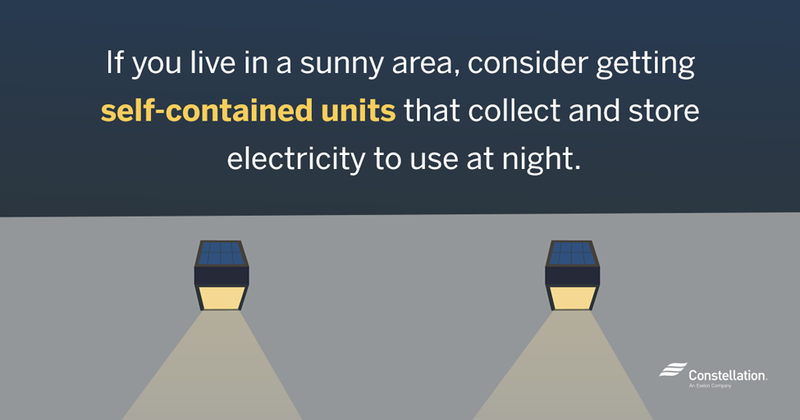 If you have a self-contained unit, it means that the lights need to be placed in a sunny area in order to get their benefits. If you use a system with solar panels, then just the panel needs to be somewhere sunny and the lights can be placed wherever you need them to be. The area in which you require lighting will determine whether you want to choose the brightest solar lights or some other solar power landscape lighting that meets your needs. Regardless of how many or few lights you require, you will likely see over time that solar lighting cost savings will add up when you receive your electric bill. Before you shop for the best outdoor solar lights, consider your goals for your own environment. 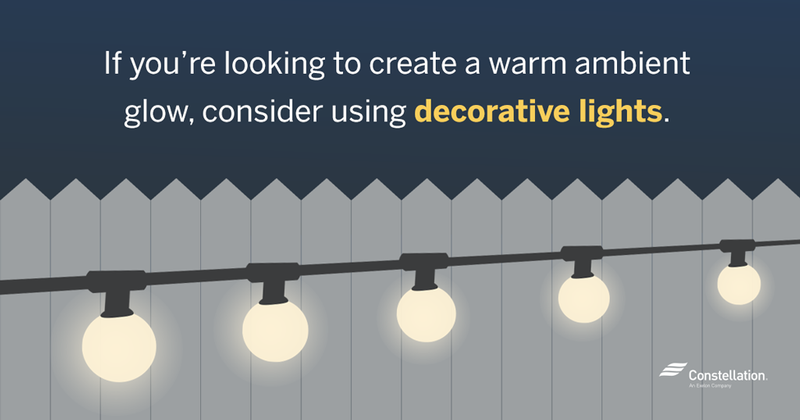 Is your objective to add a decorative flair to your landscaping, or is it to be purely functional as a way to illuminate your home for guests on the walkway or security? Of course, solar power landscape lighting can do both, but if you have a strong preference for one or the other, that could affect how much you need the brightest solar lights on the market. Solar spotlights (also called “task lights” or spotlights) are the brightest solar lights on the market. The best outdoor solar lights can give off illumination that is equivalent to a 40-watt incandescent bulb. There are also solar LED bulbs that can illuminate more brightly, so if that’s your objective, you won’t have to double or triple up on the solar for the very brightest solar lights. 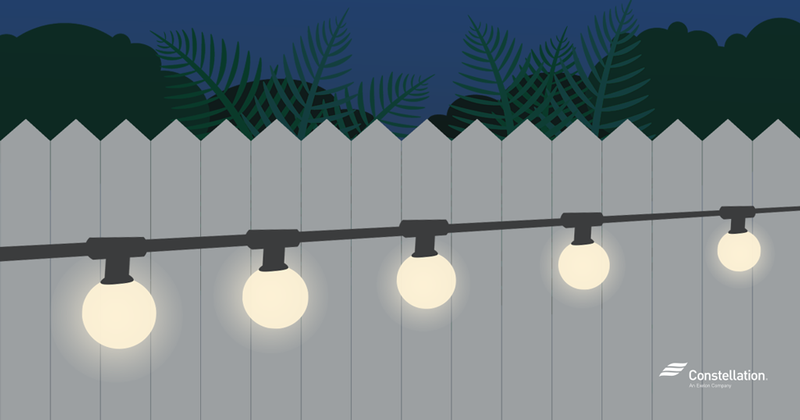 You might be going for something that’s more illuminating than ambient garden lights, but perhaps not as intense as security spotlights — if you’re just looking to provide light when you need it in a certain area, you could be interested in the best solar patio lighting. 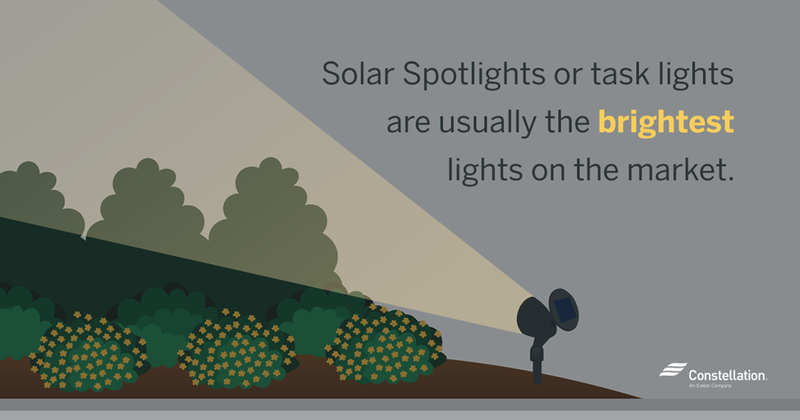 Whether you’re looking for the brightest solar lights will likely depend on how you use your patio. If it’s primarily for evening cocktails or parties, or for simply enjoying an outdoor night, you could get solar exterior lighting that is designed to create a “mood”, much like you could do with interior lights. For example, there are solar lights that intentionally flicker to appear like candles, and there are amber LED solar exterior lighting fixtures that are designed for a softer, yellower glow than your traditional white LEDs. The best solar patio lighting has a range of uses and possibilities, so determine your needs and decorating desires before you begin to shop. In other words, you could still benefit from solar lighting cost savings if you’re not trying to illuminate your whole yard. You could purchase decorative lights like blown glass or string lights that provide a warm ambient glow, enough for even the best solar path lighting on a walkway, that would showcase your garden and landscaping, but might not be intended for security, for example. The soft, ambient lights could be a perfect accent to your flower beds or even in mason jars on the table when you entertain, just to add some warm light to your next party. Path lighting can be purely functional, or it can be decorative. How do you select the best solar path lighting for your needs? Consider what you need to light (walkway, driveway, etc.). Decide how bright you need your solar exterior lighting in that area to be. How would you position your lights? You could select ground stakes, flange mounts, hanging hooks or some other method for positioning. 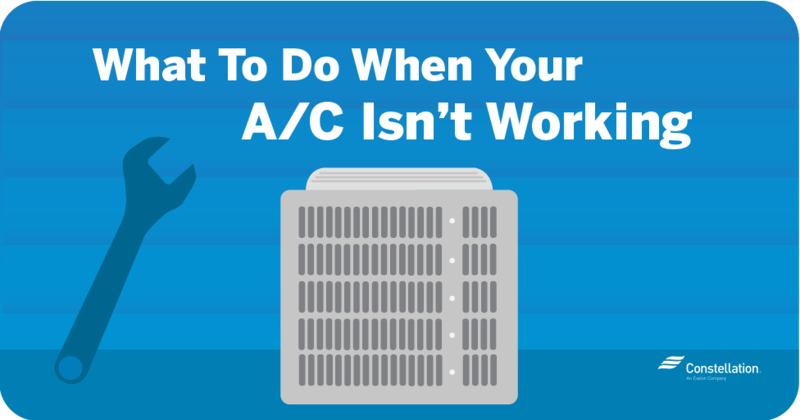 Do you need an on/off switch or automated timing? A manual switch can allow you to store the light energy for when you need it most. Many solar lights have a photo resister that turns the lights on when the sun sets and off when it rises. But, if you don’t need illumination during all hours of darkness, you can save the energy in the battery and use it another time by having lights with manual switching. Do you prefer bright, white light or muted colors? 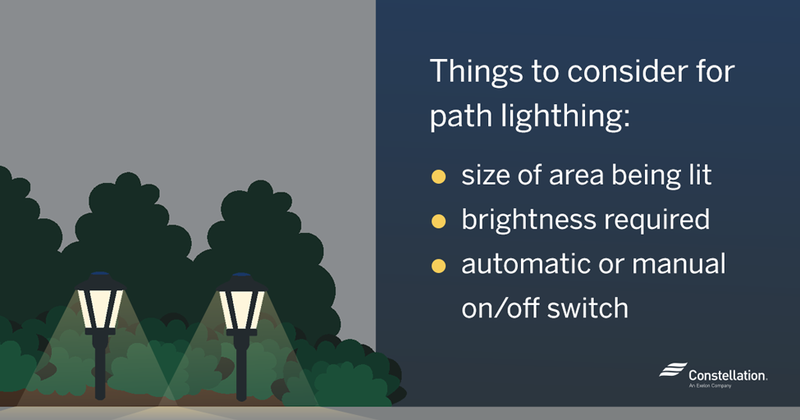 These, and other options, can make a big difference when it comes to how to choose outdoor lights. Sometimes, the best solar path lighting is not the same choice as the best solar patio lighting, for example, so determining your specific needs should be the first part of lighting our outdoor area. If you’re still undecided about whether this is right for you, don’t forget about the potential solar lighting cost savings. We’ve mentioned before how to choose between CFL vs. 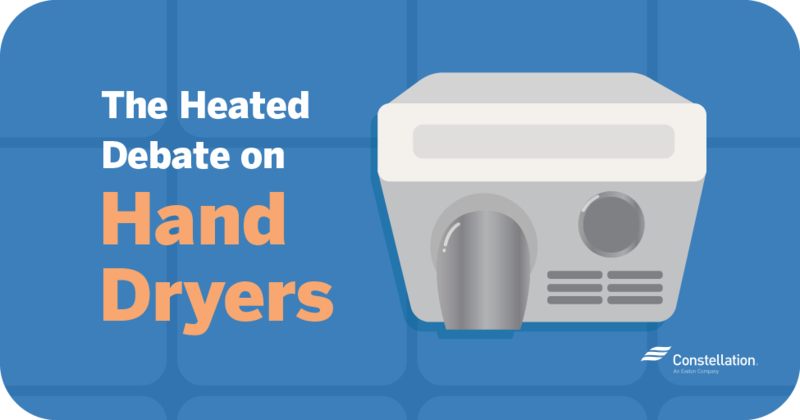 LED bulbs to save some money on energy, and also some tips for small businesses (which are also applicable at home) with respect to using dimmers, timers and other features to reduce the amount of energy you use on lights. By combining energy-efficient bulbs with using solar, lighting systems can be very efficient to run. And, we want to know what you think — share in the comments how you use solar exterior lighting and if you have any tips that help you save on energy! This looks great, isn’t it? If you have a garden or an open-air terrace, you can try installing Solar Garden Lights, which will make your garden look very romantic. Improved a sense of space. Hi Amelia, That’s a great idea. Thanks for sharing! Thanks for wrote this so interesting article. I have bought a very great solar garden light (12 packs) It really so bright and easy to assemble, takes a short time to fully charged. Hi Caliasia, Thanks! We’re happy to hear you’ve invested in some really great solar lights for your garden. article was very interesting….. also, the information given was very helpful and my son used it for school. Hey Diana, We’re so happy to hear that. We love giving helpful information to the community. Thanks for sending me this article. It is very timely as we are installing a new patio & I have wondered about how to illuminate it. Do you have a central vendor for energy efficient lighting, where I could purchase units at some discount? Northeast Utilities and other utility providers in New England used to have such an arrangement. Please advise? 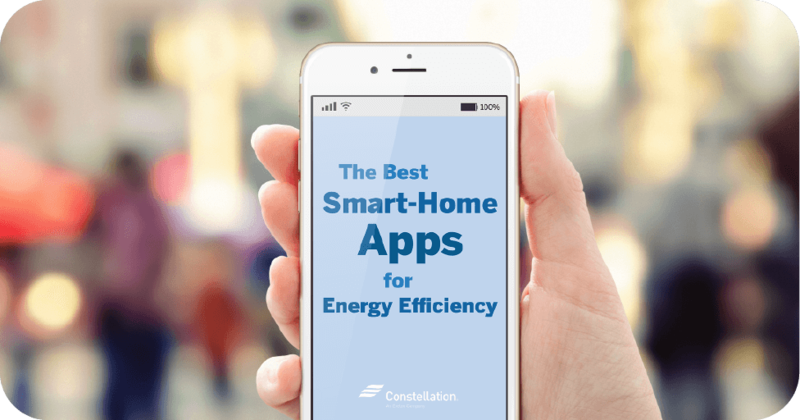 Hi Steve, You can go to https://shopconstellation.energyearth.com/home/shop to shop through any of our energy efficient home products. If you want more info on what bulbs to buy, we have a blog post about energy efficient lightbulbs! Hoping that helps. Congrats on the new patio! Unless solar lights improve I still will go with low voltage garden lights..
Hi Cesar, You have good points about solar lighting. Investing in good solar lighting is key, and most high-quality solar lights last much longer than a year, or just simply need their solar sensor batteries replaced!